Orban’s reputation in the West as dictator is unquestionably linked to his intense conflict with Hungarian-born financier George Soros, whose Open Society foundation (OSF) finances all manner of initiatives to promote his dream of a borderless society, notably in Eastern Europe. Soros operations could be considered privatized U.S. foreign policy, along the same lines as McCain, and innocently “non-governmental”. One OSF initiative is the private Budapest-based Central European University whose rector is open society advocate Michael Ignatieff. 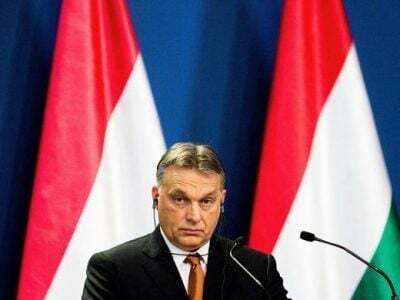 Hungary recently imposed a 25% tax on money spent by nongovernmental organizations on programs that “directly or indirectly aim to promote immigration,” which affects the CEU. This is part of a recently adopted package of anti-immigration measures known as the “Stop Soros” bill.